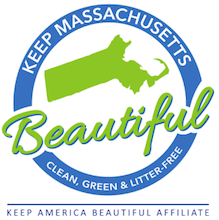 The Keep America Beautiful Vehicle Donation Program, offered through Insurance Auto Auctions' Donation Division, provides an opportunity for you to support Keep Massachusetts Beautiful. Through this program, you can donate unwanted vehicles in almost any condition and potentially earn a tax deduction. The program accepts donations of cars, trucks, boats, tractors, motorcycles, ATVs, snowmobiles, jet skis, and RVs, as well as construction, farm, and other heavy equipment. This program is available in all 50 states. A portion of the value of your donated vehicle will be redirected to Keep Massachusetts Beautiful.